Exoprise Service Watch gives you visibility into the end user experience of any web application no matter where an employee is working, no matter what network conditions they’re experiencing. 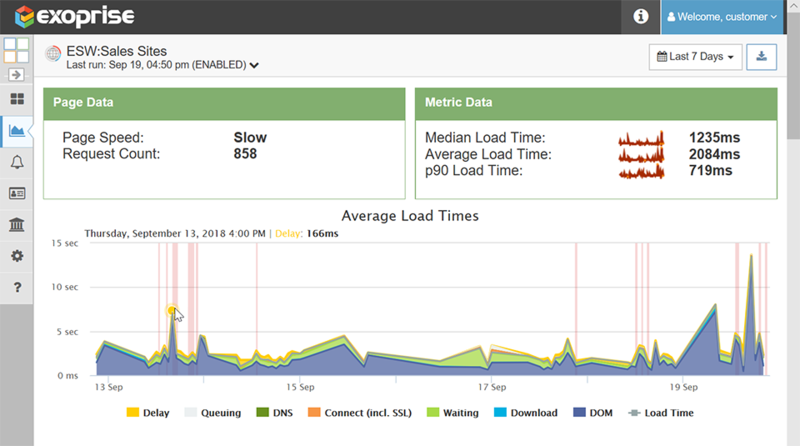 Troubleshoot application slowdowns, triage network issues, decipher connectivity problems. Limit real user data to just the apps that need diagnosing. 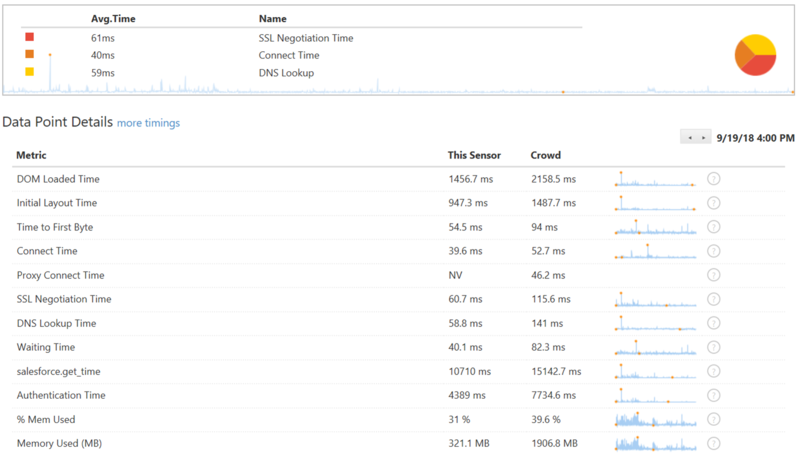 Capture session metrics across servers, SSO, Proxies, LAN/WAN, WiFi, and VPNs. Any network condition, at home or on the road. Exoprise Service Watch is free to try and deploys in minutes, just like all of our products. 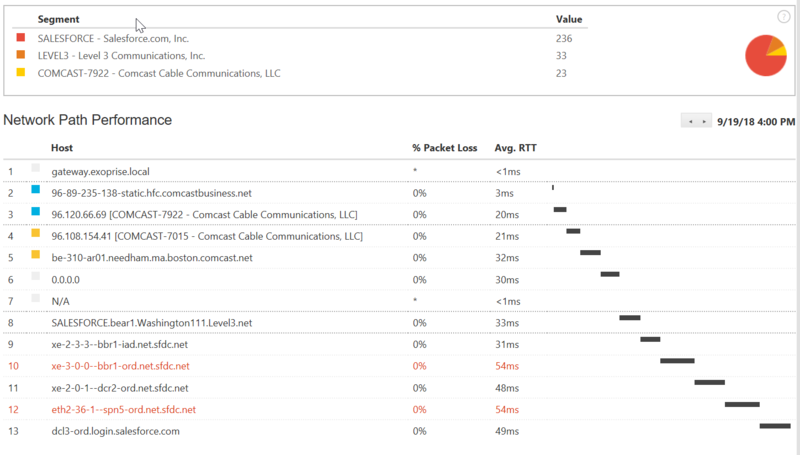 Real User Monitoring is great for diagnosing specific user or network issues but doesn’t notify you before a user is affected. RUM doesn’t help with outage prediction or help you in advance. Deploy CloudReady active monitoring along with Service Watch to capture the complete picture and correlate the different perspectives. Know in advance of a problem, know before a user or business unit is impacted.